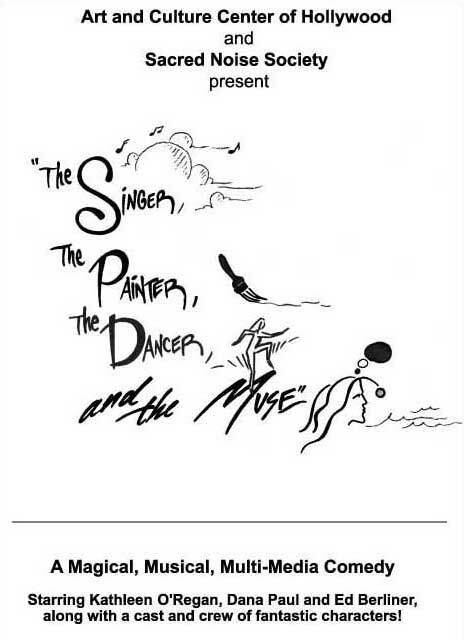 "The Singer, The painter, The Dancer and The Muse"
It was produced in New York City in the the workshop in the year 2000. It was produced Door County, Wisconsin in it's initial production and in Milwaukee, Wisconsin as a one woman show.In September of 2001 a nice full cast big production of the musical was produced in Hollywood, Florida...just north of Miami. Kathleen says though the show is not autobiographical the title reads like her resume....because she does all the aforementioned careers...she is indeed a Singer, a Painter, a Dancer and a Muse. Want a special seminar done on opening up to your personal creatvity for your convention, corporation or organization? Her presentation includes material tailor made to your needs, guaranteed to suit you! You can get in touch with Kathleen by calling (917) 673-4490 or e-mailing her at katieoregan@aol.com for booking arrangements.